When teaching kids on the one-to-one basis, discipline sometimes presents a rather big issue. On the one hand, a teacher has to attend to the kid’s parents’ wishes on what material should be taught to their kid. On the other hand, a teacher has to make the lessons interesting to the kid and not to his/her parents. To make things even more complicated, teachers have to have the kid stay on the task but also to make regular breaks during a lesson so that the kid could have some rest. Needless to say, it’s really hard to strike the balance. I once gave 2-hour lessons twice a week to a 10-year-old girl. The two hours of extra study in the late afternoon after her school classes made it really hard for her (and me too) to focus on tasks. However, the girl was quite dutiful, energetic and cheerful, and we did a lot in our lessons. But (there are always some “buts”) at the same time she was extremely talkative. She always had lots of stories to tell me. Whatever we did in class, she would come up with a new story that somehow was connected to the task at hand. Over some time I realized that something must be done about this stream of stories, because they started to present a really big distraction. Why? Because we not only spent valuable time on the stories, but also because the girl used to tell them in her mother tongue. So no English learning occurred. And this is what I came up with – STORY CARDS! 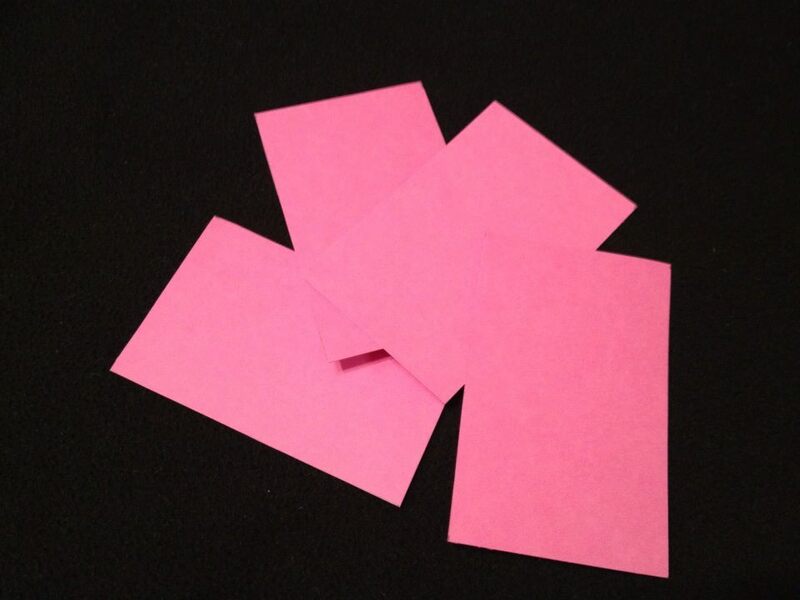 I made four cards of pink cardboard. So at the beginning of each lesson, my student was reminded that she had only four story cards to use during the lesson. Whenever she wanted to tell me something in Russian, she had to ask for a Story Card. At the rest of the time, she had to speak English. However, she was never restricted on the number of stories. Yes, she could tell me only four stories in Russian, but she could tell me as many stories in English as she wanted! And she did! She started telling me stories in English. So by the end of the lesson, we sometimes had some unused Story Cards! 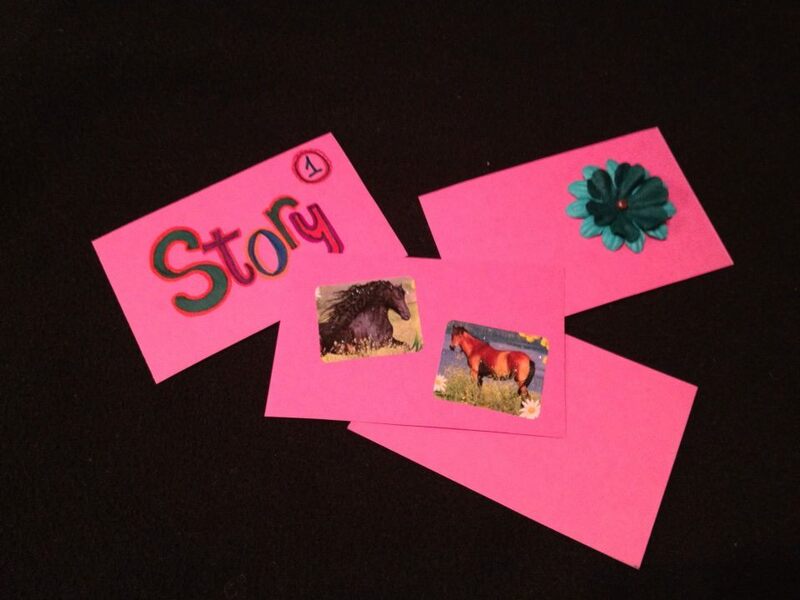 To make this activity even more attractive to your students, you can personalize the Story Cards by letting your students draw or write anything on the cards. They can also put some stickers or any other decorations they want. So all you need is a colourful cardboard, a pair of scissors, colourful crayons, stickers and whatever decoration you or your student can possibly think of! I hope you liked the idea of Story Cards! So next time you have a kid who loves telling stories, try using Story Cards with them to gently encourage them to try to tell their stories in English. These story cards are a nice idea! Kids love stories. This could be good as a halloween or christmas idea. They could create scary stories or Christmas stories. I have a story telling contest. I give prizes to students who have the best stories.